I finished college in the Summer of 2017. After finally finding a great group of friends in the last couple of years it was pretty hard seeing them all leave for universities and jobs across the country. I had a job in a different continent lined up for the next calendar year, so for the 4 months before moving I was pretty alone. I picked up an interim job in the town’s busiest restaurant (usually around 500 people a night), meaning my hours were noon till midnight, leaving me exhausted and with no day left. To keep myself sane I decided to start a project: record a few Christmas songs and send them to friends and family, just as Sufjan originally did with his EPs on Songs For Christmas. I began with carols, and even wrote two songs of my own, but I still felt that the EP was missing a large final number that couldn’t be filled with yet another rendition of “Hark the Herald” or “All I Want For Christmas.” While walking home from the restaurant one night “The Child With The Star On His Head” came on in my headphones and I knew it had to be the one, suitably grand in scale yet with intricate music and delicate lyrics. The song presented a lot of challenges to me as an amateur musician. 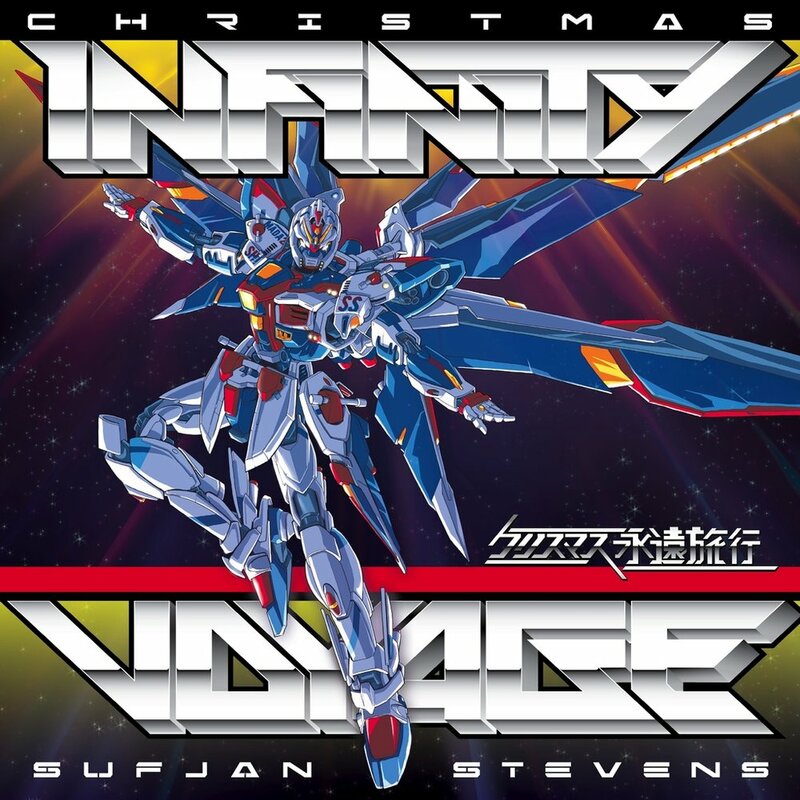 Sufjan has a huge vocal range due to his use of falsetto (singing higher than his natural voice). I overcame this by recording lower parts of the song on mornings after I had been drinking the night before, when my vocal chords were the most relaxed as possible! Primarily I am a brass player so early on I chose to replace the guitar solo with a trombone solo, giving the song a more jazzy feel. I took inspiration from the original version of the song that leaked online and filled the instrumental section with synths and trumpets in an attempt to recreate Sufjan’s climax to the piece. “The Child With The Star” helped me through a transitional stage of my life, what became essentially a daily meditation on the song as I walked through the freezing Merseyside streets gave me space to collect myself after running around for hours, there’s so much song to get lost in. Recording my cover of it improved my musicianship and taught me a lot about the recording process, and most of all gave me something to occupy my mind and keep me creative for the months I spent alone. I am John, a brass teacher from Liverpool now living in South India. You can listen to my cover of “The Child With The Star On His Head” on Spotify.